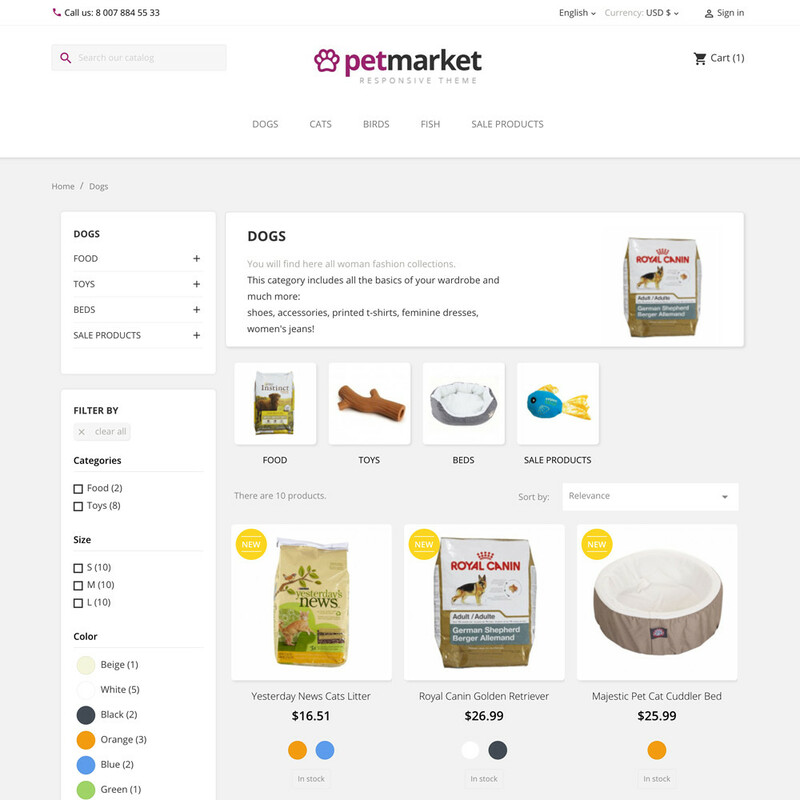 The theme for pet market should possess such features as ease of use, functionality and responsive design that distinguish the webstore among similar ones. 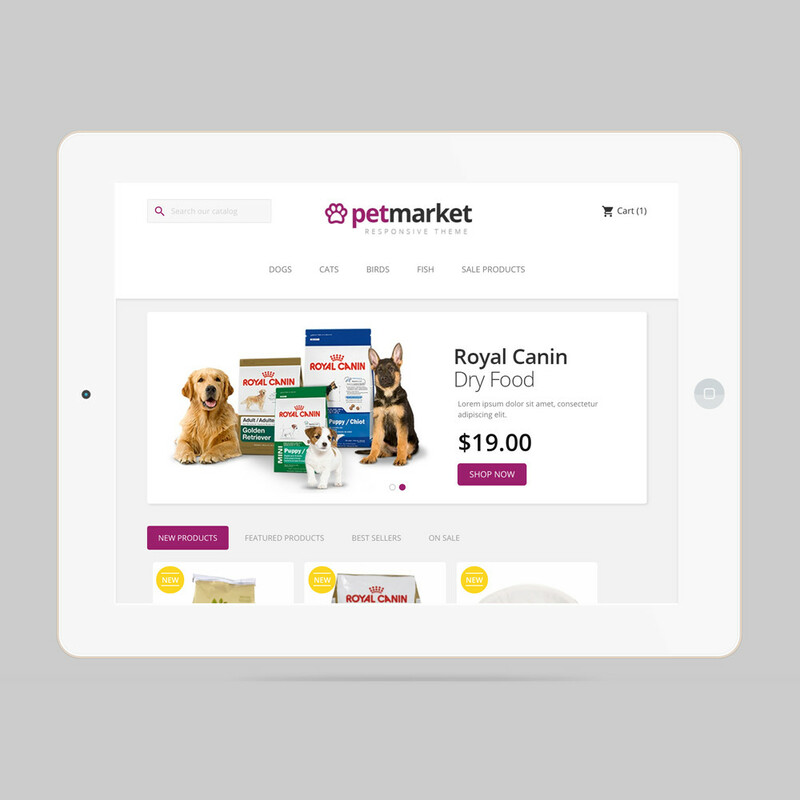 The up-to-date theme has been designed to meet even steep demands while soliciting customers. 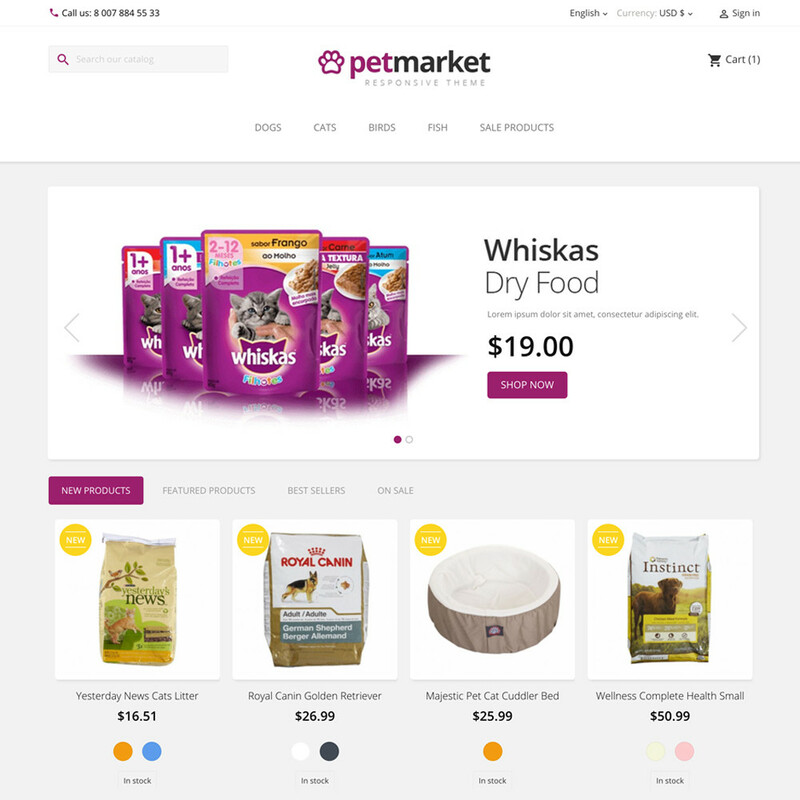 Pet Market is a great resource for all your pet needs including such pet supplies as pet food, supplements, toys, medicines, apparel, and outside gear. 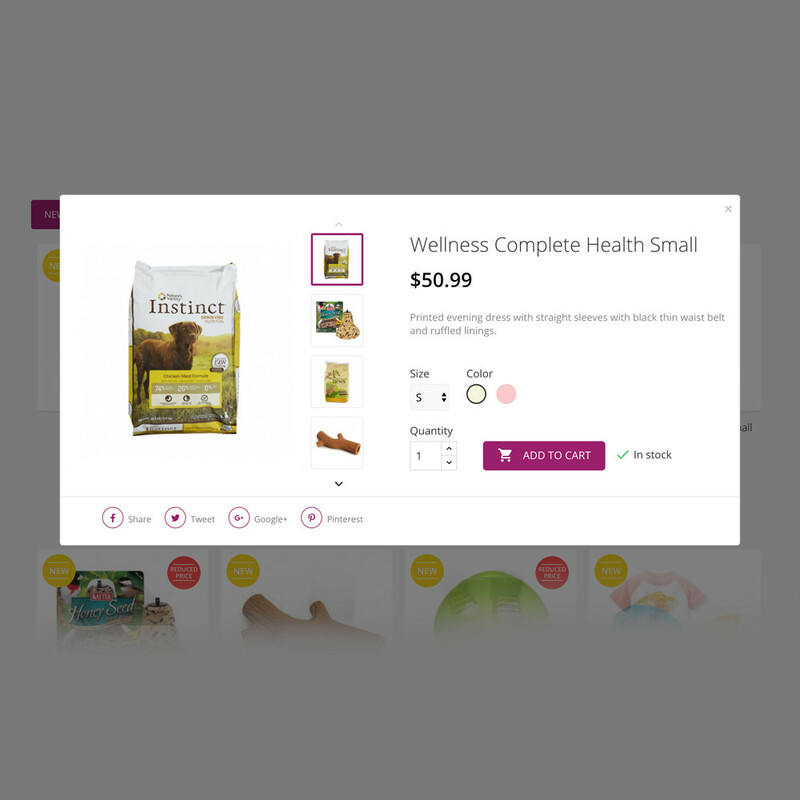 Whether a shopper is looking for pet food, a new aquarium or a new pet, the top-level webstore should provide customers with necessary items as well as excellent service that encourages customers to get back. That's why advanced webstores should focus on such key points as responsive design and ease of use. Choosing the theme specially designed for such purposes you'll be able to kill two birds with one stone. As for color set, the theme is made by using bright and gentle colors that give a pleasant impression. Since colors influence people, such gentle ones call warmth, comfort and confidence. 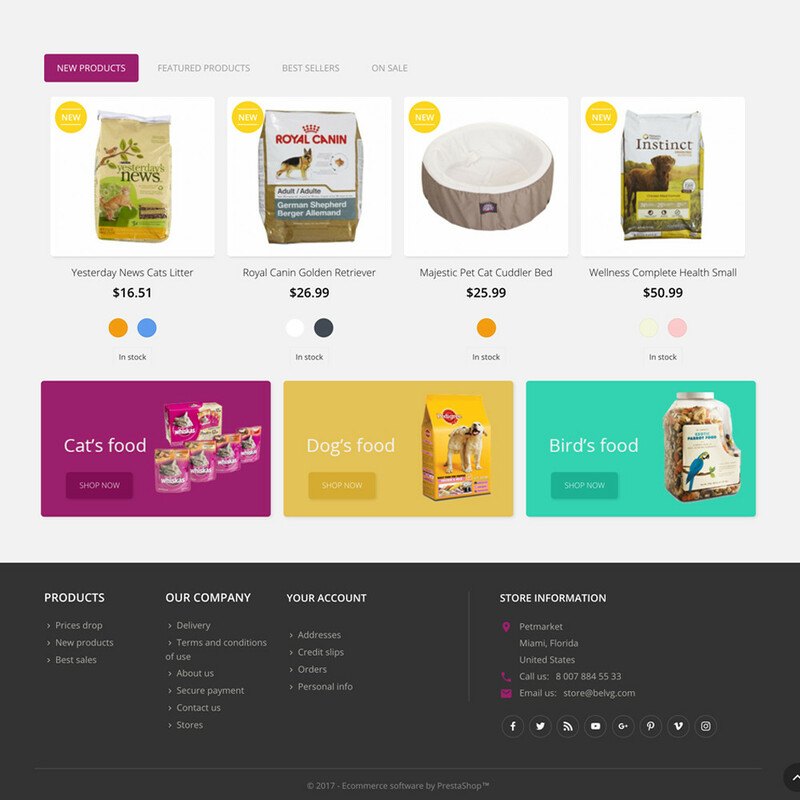 On the whole, your webstore should seem a reliable and client friendly service provider. 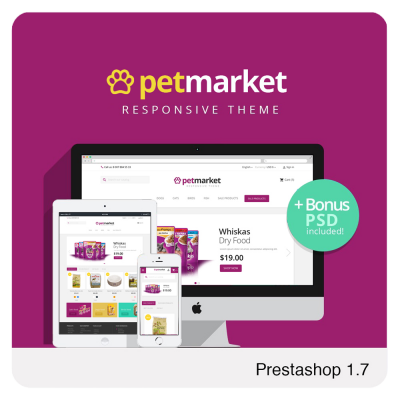 Moreover, it should be noticed that such an improved theme can be suitable not only for pet market, but also for other present-day stores. 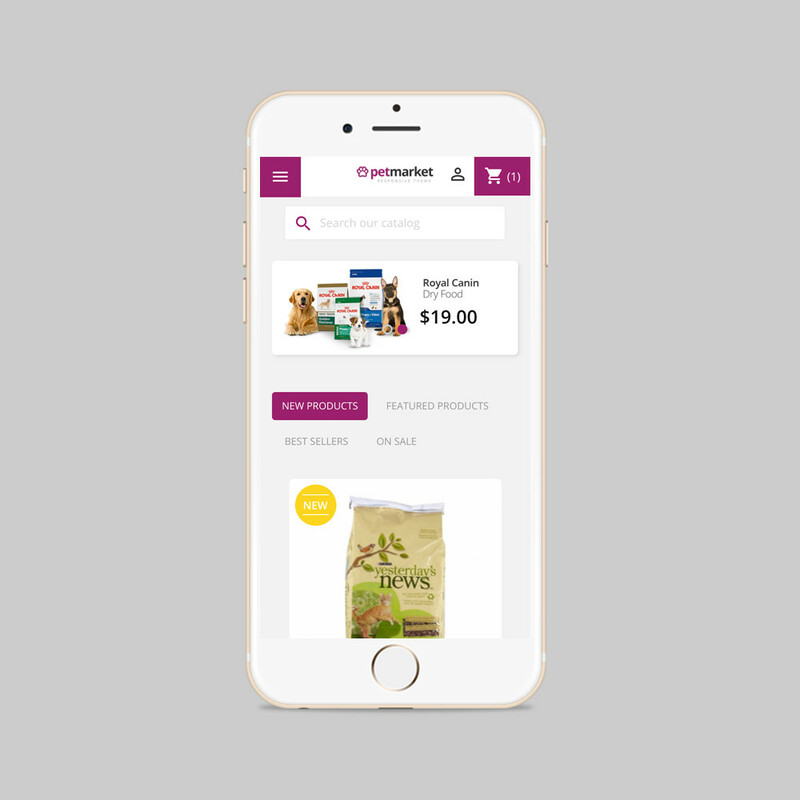 As for ease of use, the crucial moment is easy navigation that allows shoppers find an appropriate product in one click. All the pictures are highlighted while mousing them over. Besides, it is allowed to zoom photos in size providing customers with detailed look as if there were in a store. The version of the theme is completed with the slider which simplifies working with pictures making more convenient. Moreover, the block with necessary data relating to the item is placed alongside of the pictures that are assured to be easy to use. Responsive theme supports all types of systems and will recognize the type of the device and automatically adjust the resolution to the best viewing experience. 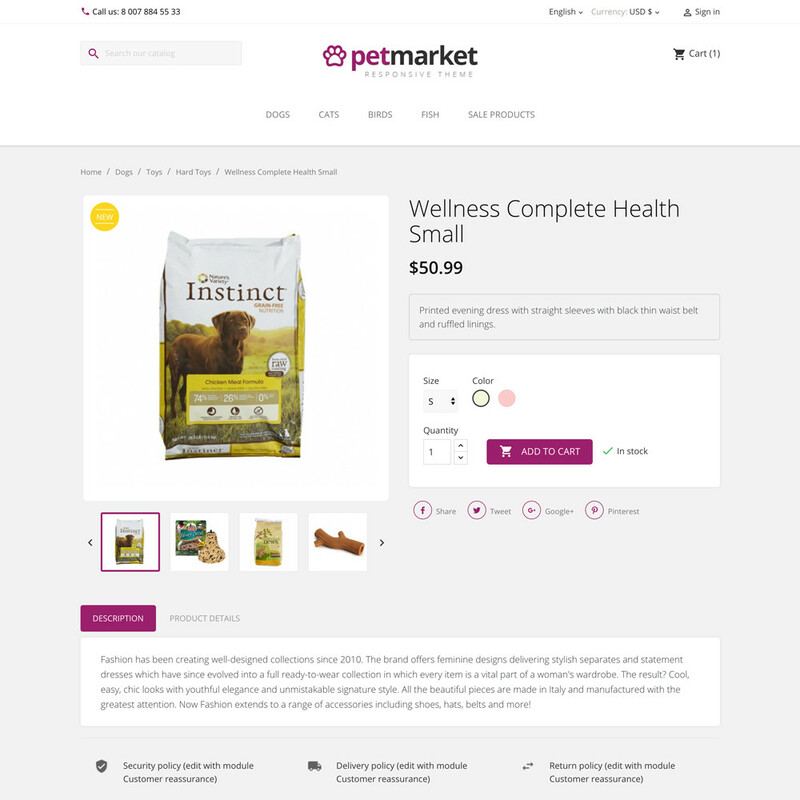 All in all, the theme focused on both graphics and control elements make your store distinguished bringing it to notice. Easily customizable with Webpack Module Bundler.